We have had to postpone the workshop to the 1st and 2nd of October 2016 due demands for further workshops in the SE Asian region over this period. We will cover the same topics and everything will be the same but will now run the Delhi workshop in October. We have contacted everone who has registered but if you have not heard from us please email us. Looking forward to meeting everyone in October. 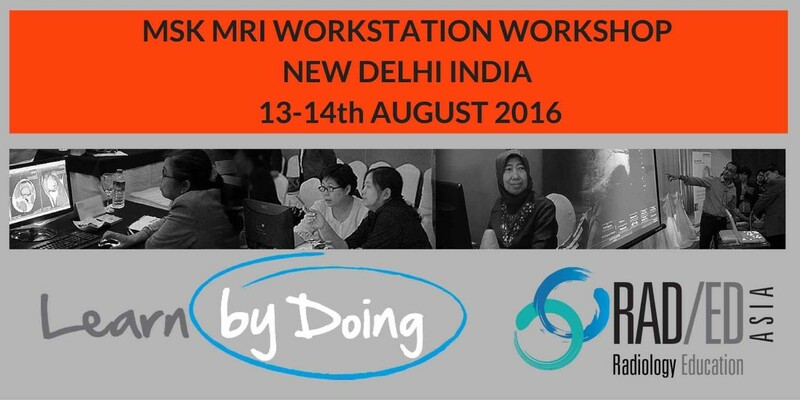 The MSK MRI Workstation based workshop will be held in Delhi on the weekend of the 13-14th of August 2016. 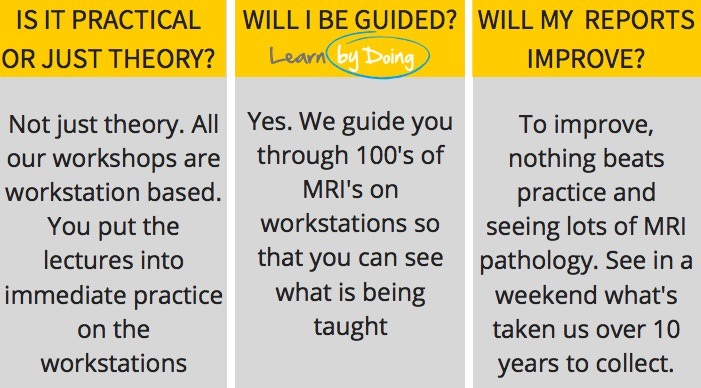 We will be covering MRI of the Knee, Shoulder, Hip and Ankle in an intensive, structured learning, workshop over two days with lectures and guided viewing of 100’s of full Dicom studies of MRI pathology on individual workstations, so that you learn and apply the knowledge at the same time and you Learn By Doing. We are holding the workshop over the Republic Day Long Weekend which gives you Monday to get back to your home if you are from outside Delhi.